Carved from Picasso Marble. 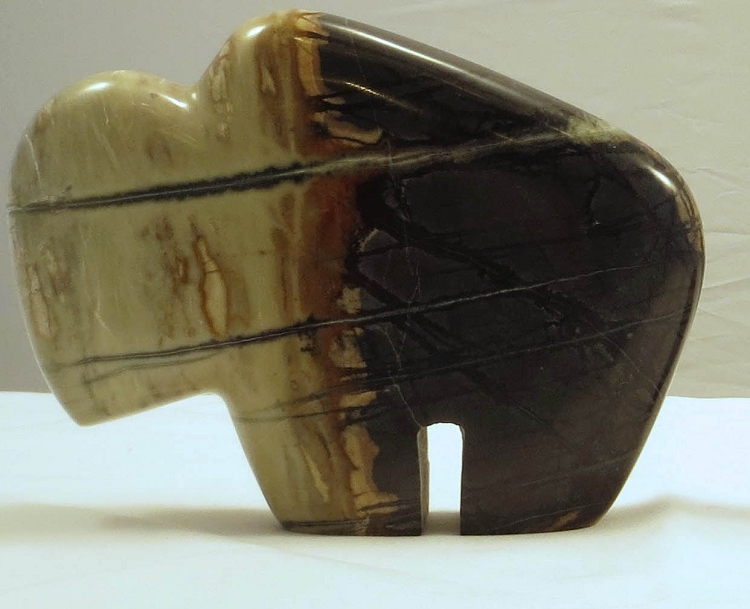 this bison is a stylized reminders of the magnificent creatures which still roam North America. Contrasting black, gold, and white color patterns evoke scenes reminiscent of forests and landscapes.